I had a lower wisdom tooth that should have been removed years ago, but thanks to my own unwillingness to do so I waited till I am 57 years old to do it! Yikes that is crazy. Well let me tell you about my experience with Dr. Kosta J. Adams, DDS. First of all the shot to numb the area was done in only 1 shot. The shot happened to be what is called a bulls eye, meaning he got the shot right on the nerve. I felt a quick jolt of what felt like a small electrical shock, but let me tell you that I was almost instantaneously numb. I for one appreciate that as I do not like needles nor getting multiple shots for something that can be done in 1. This to me tells me of Dr. Adams skill and expertise in knowing where to place the shot. The removal of the wisdom tooth was so quick, I was so happy, I was given follow up advise and genuine care about my wellbeing from both the Dr. and his staff. The very next day young Dr. Kristen Adams, DDS placed a follow up call to me to check on me. This is a wonderful dentistry family. I would recommend them to any and every one! P.S. My recovery have been nothing less than terrific, very little bleeding the gauze pads had no evidence of blood later that same night! Yippee! With new materials and modern technologies, dental work can be affordable. Our practice uses several materials that are guaranteed to last a lifetime, and can help patients of all ages get dental work completed. Our team is happy to provide patients of all ages with the services they need to obtain the smile of their dreams. 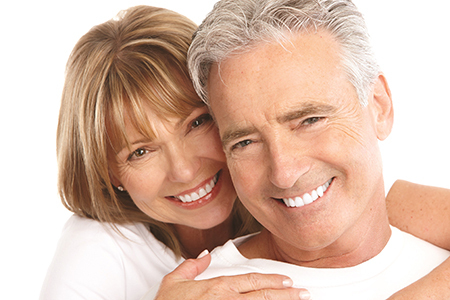 Dentistry for seniors is an important aspect of what we do. We understand that our senior patients may be on a fixed income and may not be able to afford the dental work they need. We provide quality work at an affordable price in developing a personalized financial plan that stays within their budget and makes the costs associated with cosmetic and general dentistry affordable. As we age, we need more dental care…not less! The highest rate of dental disease is found in the aging population! Most seniors do not have dental insurance and are on a fixed income. Even dental insurance does not help much. Benefits are very limiting. Most dental insurance has a maximum benefit of $1,000-$2,000 PER YEAR! This maximum was set ALMOST 50 YEARS AGO and HAS NOT CHANGED! Seniors are more likely to postpone dental treatment due to finances. This leads to more serious and expensive problems – and sometimes the unnecessary loss of teeth. Do not wait until it becomes more expensive. Our Approach: We like to evaluate each case thoughtfully and individually. Let us explore all the alternatives and find what is best for YOU! Are you suffering from 19th century dental appliances like dentures and removable partial dentures? Do you have discomfort and difficulty when chewing? Are you tired of your old dental work? Has it been a long time since you have seen a modern dentist? We can help you reclaim your confidence and comfort with advanced dentistry. Call us today.